Happy Valentine’s Day from the Office of Alumnae Relations! We hope that you’ll enjoy this week’s photo! 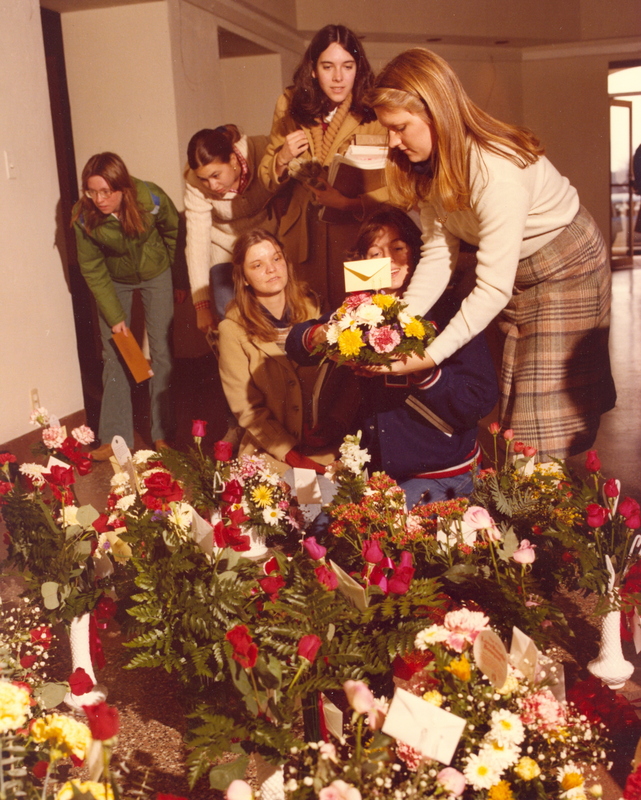 Students browse through the piles of flowers waiting to be picked up in Johnson Hall. I remember many of us girls avoiding Johnson Hall during this time if we didn’t have a “beau” on Valentine’s and therefore, weren’t expecting that treasured floral arrangement.